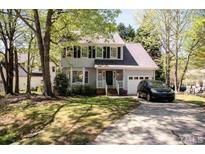 Find Apex, NC Homes for sale. View Photos, Maps and MLS Data Now! Seagroves Farm - Walk to Community. Pool/Club. Near Downtown Apex. MLS#2250390. 2989. North Beaver Creek Greenway is around corner. MLS#2250554. 1320. Olive Chapel Park - Strategic location mins from Beaver Creek Commons & WakeMed Apex. MLS#2249827. 989. Charleston Village - Greenway access & great amenities are the icing on the cake! Wow! MLS#2249321. 1618. Cameron Park - First floor enclosed study. No carpet. Tankless Water Heater. MLS#2250541. 2989. New Publix development just down the road. MLS#2250544. 1126. Holly Brook - Come see it before it's gone! ! MLS#2249632. 5234. 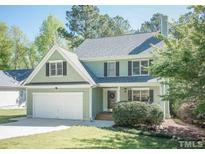 Lexington Farm - Hardwoods & CFans in all bedrooms! Office w/CrownMldg & ChairRl! MLS#2250277. 1128. Whitehall Manor - Stunning Renovated Master Bath w/5 Sprayer Shower w/Floor to Ceiling Tile. MUST SEE! MLS#2250153. 1320. Beckett Crossing - Walking distance to Beaver Creek shopping, dining, and entertainment---come home today! MLS#2249106. 3335. Fair Oaks - Upstairs HVAC (Heating & Cooling) Upgraded July 2018, Downstairs Cooling Upgraded in 2013, New GE Electric Range and Microwave (2019), Bosch Dishwasher, Tankless Water Heater, Irrigation System in Backyard. Washer/Dryer Convey MLS#2249938. 986. Sleepy Valley - Start from scratch & build your dream home! MLS#2249767. 372. The Villages Of Apex - Tenant willing to extend 2 yrs if investor purchases property. MLS#2249808. 4215.